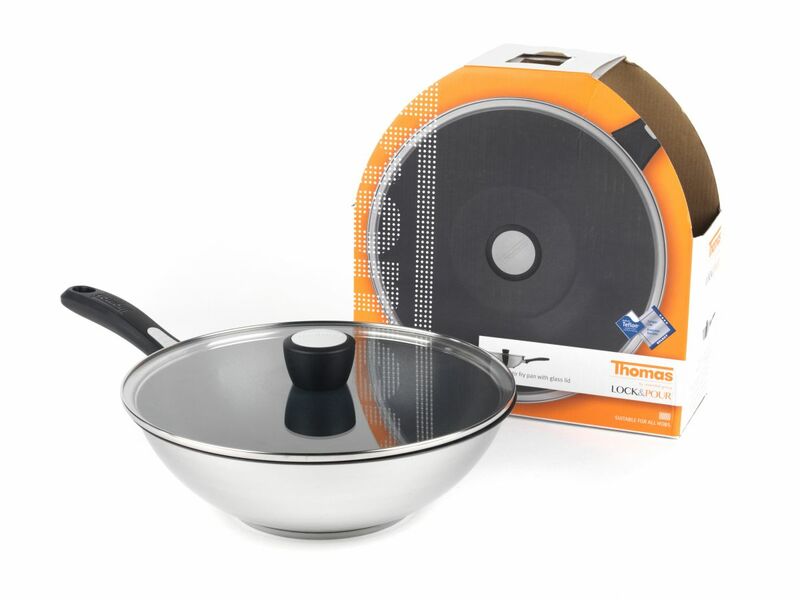 Enjoy rustling up quick dishes with an oriental twist with this fantastic Thomas Lock & Pour 28cm Stirfry Wok. The pan features a DU point Teflon non-stick interior coating that has a strong resistance and guarantees easier cleaning. Made from heavy gauge stainless steel with a 5.6mm impact bonded encapsulated base the durable pan offers effective heat conduction for even cooking. Also suitable for all hob types including induction, and dishwasher safe.